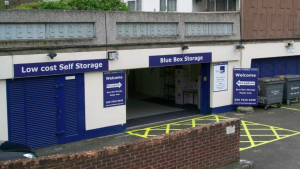 Our Farnborough centre provides self storage solutions for customers in Farnborough, Aldershot, Fleet, Church Crookham, Farnham, Frimley, Yateley, Ash, Camberley and Sandhurst areas and the local boroughs of Rushmoor, Hart and Surrey Heath. “Brilliant pleasant helpful staff and very convenient. Alicja and Mark very nice and efficient”. “Everyone has been lovely. Thank you so much Alicja”. “Would use again – excellent”. “I’ll be back, see you in a few months”. “Wonderful. Thanks. Very helpful with problems”. “Very helpful staff, excellent facilities, would thoroughly recommend”. “Many thanks for your fantastic level of service these last few months”. “Excellent facilities, service + customer service”. “Weekend opening hours could be longer. 10 am – 2 pm is a bit short if you have several trips to make”. “Helpful, friendly staff & very convenient – would use again”. “Lovely staff. Will use again”. “Staff friendly and very helpful! Thank you for your assistance”. “Excellent throughout the whole experience”. “Staff extremely friendly and knowledgeable, even made a tea for me and removals guys on exit. Fantastic service”. “Staff very friendly, always happy to accommodate, always pleasant and approachable”. “Slightly longer opening hours at the weekend”. “The staff have been amazing and very helpful. Very fortunate to have such great staff. Thank you to all”. “Really good friendly service & clean, dry storage facilities. We will use again in the future”. “Happy with service & facilities. Service excellent. Suggestions: More flexible opening hours i.e. maybe 1 late night. The size of your room will determine the costs. You may find you need a smaller space that you initially thought if your goods are stacked efficiently. It’s a good idea to make a list of the larger items you need to store and try to anticipate the additional items as well. We don’t charge any admin fees and all of our quotes will lay out the full costs for you including the security deposit and any additional insurance costs. 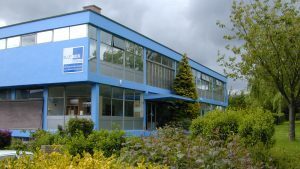 For a quote, please contact us with our form here or give our friendly centre staff a call on 01252 545 222. You will find our storage facilities clean, dry and secure. 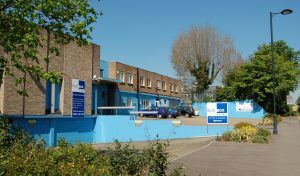 Our Farnborough centre provides self storage solutions for customers in Farnborough, Aldershot, Fleet, Church Crookham, Farnham, Frimley, Yateley, Ash, Camberley and Sandhurst areas and the local boroughs of Rushmoor, Hart, and Surrey Heath. 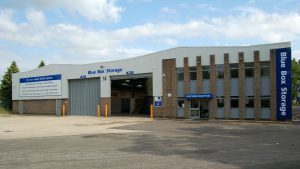 For details about our other storage facilities click on the Hemel Hempstead, Watford and Maida Vale location pages. To find out further information please fill out our contact form.